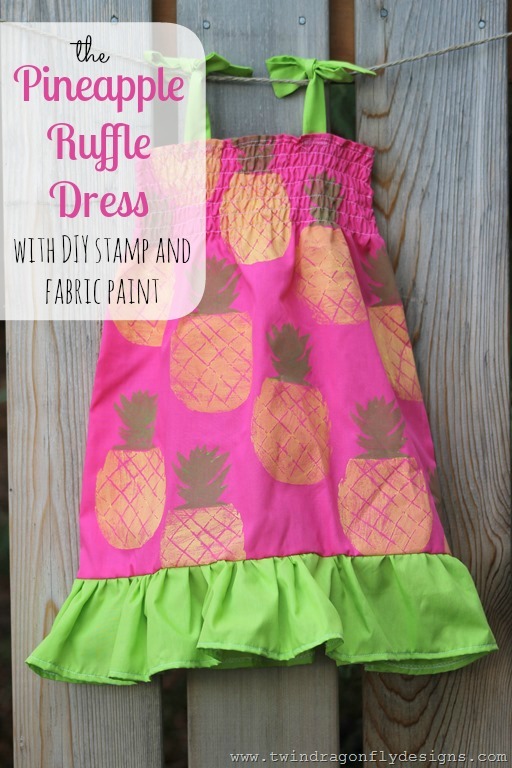 This Pineapple Ruffle Dress was a custom order that was totally fun to create. 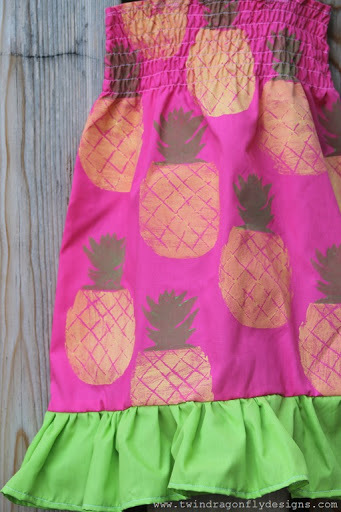 I carved the pineapple stamp into craft foam and used fabric paint to create the print on the fabric. I may be having just a leeettle too much fun with fabric stamps. Check out my Peacock Ruffle Dress or Moustache Dresses to see what I mean. 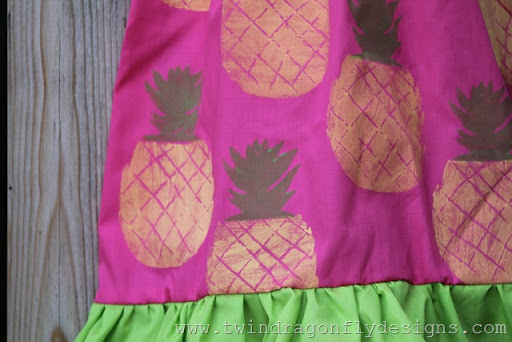 The pineapple detail turned out even better than I could hope for. 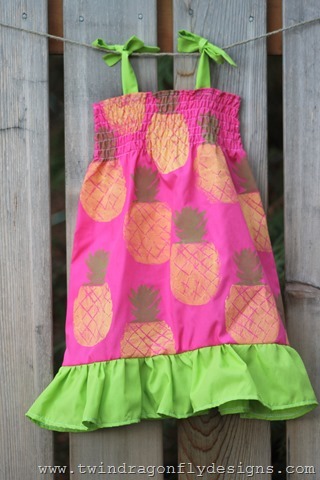 The added pop of lime green ruffle and straps tied it all together. I used a fabric medium that I simply added to acrylic paint. 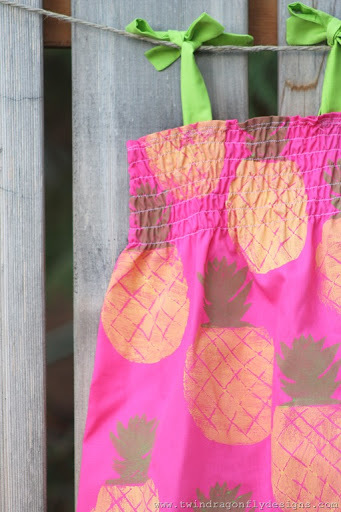 Have you tried any fabric stamping?